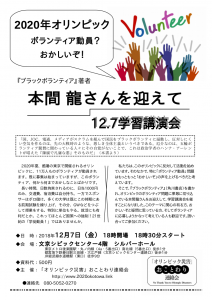 We protest against the crackdown on and an unjust arrest at the anti-Olympic Games demonstration on Jan.22nd. We declare No Thank You to human-rights-disregarding Olympics! On Jan.22nd, we held a rally to start a movement to say No! 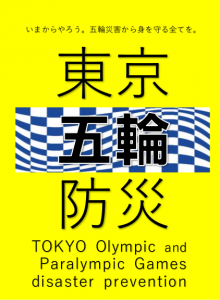 to 2020 Tokyo Olympics hosting and to pursue its return (Okotowari). Prior to the rally, many of our members joined a demonstration “No Thank You to Olympics First! Stop Olympics” organized by an Anti-Olympics Group who share our anti-Olympics views and joined our rally after the demonstration. That day the demo, even before its start from Harajuku Station, was surrounded by quite a number of detectives from the Public Security Investigation Agency, which created an extraordinary atmosphere: policemen on guard kept provoking the demonstrators by pushing them and unnecessarily restricting their moves. What’s more, plainclothes placed on the outer side of these detectives kept close watch unjustly taking videos. In such a situation one of the demonstrators was suddenly dragged out of the file, pushed onto the ground and arrested. It happened in broad daylight when many people were walking around on the busy downtown streets. start with. But this arrest made us realize the will of the governing power to suppress anti-Olympics views with whatever charge they can think of. In our declaration adopted at the end of the rally after the demonstration, we pointed out the outrageous spending of a sum total of 2,300,000,000,000 yen for the Olympic and Paralympic Games which last only 2 weeks, the distribution of the money among concession hunters in political, financial, and sporting circles, the on-going destruction of many residents’ bases of living and their expulsion from their residential areas for the construction of Olympic facilities and infrastructures, the suppression of various voices protesting against these violences and questioning the Olympics itself, the cracking down on civil movements and the building-up of a civil surveillance set-up in the name of anti-terrorism as evidences of “rights-and-lives destruction solely for the Olympics,” and named them all “Olympic Disasters.” The crackdown on the very day of this declaration gave us a vivid image of the disasters we will be mercilessly assailed by as we go raising our anti-Olympics voices from this very day on. Present day Japan is messed up with such man-created disasters as the covering up of the victims of the nuclear accident and of its continuing radiation by advertised “Resurrection Olympics” and “Fukushima Under Control,” and the daily-threatening of Okinawans’ lives by the US Bases in existence and in the process of being newly constructed under the Japan-US Security arrangements. If the 2020 Olympics is going to be a celebration of/by these disaster creators, all we do is to raise our voices to refuse its whole. These disasters are on the rise but our protests against them have already begun. Struggles against Olympics have been relayed on in various areas in Japan and in other parts of the world. Our counter attack against the crackdown on the 22nd is one of them. We are determined to stand together with these struggles and carry on ours in solidarity with them. We Condemn Crackdowns on Expressions of Anti-Olympics ! Crackdown on the Jan.22nd. Demonstration ! We Refuse a Festival built on Disregard of Human Rights and Expulsion of All Kinds !